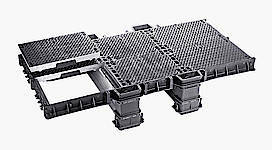 Catalog "Ermatic und neue modulare Abdeckungen / Roste"
Both horizontal and vertical contact faces between frame and cover are machined to an eveness tolerance of 0,2 mm. 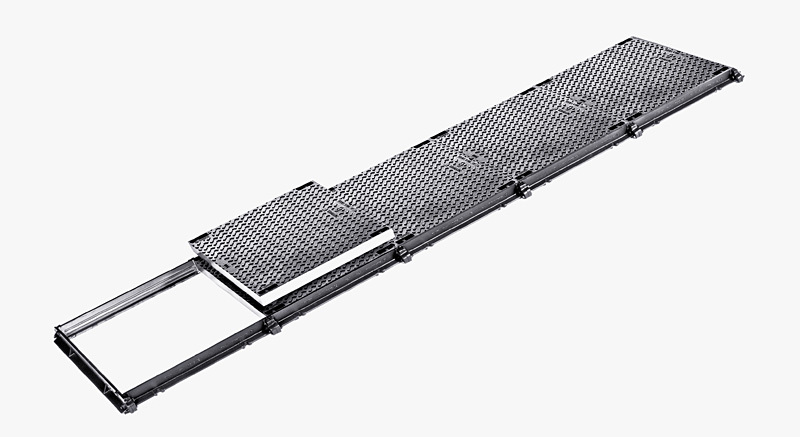 When installed properly, the narrow manufacturing tolerances guarantee a non-rock, stabile seating under traffic load and at the same time prevent the ingress of dirt and liquids. 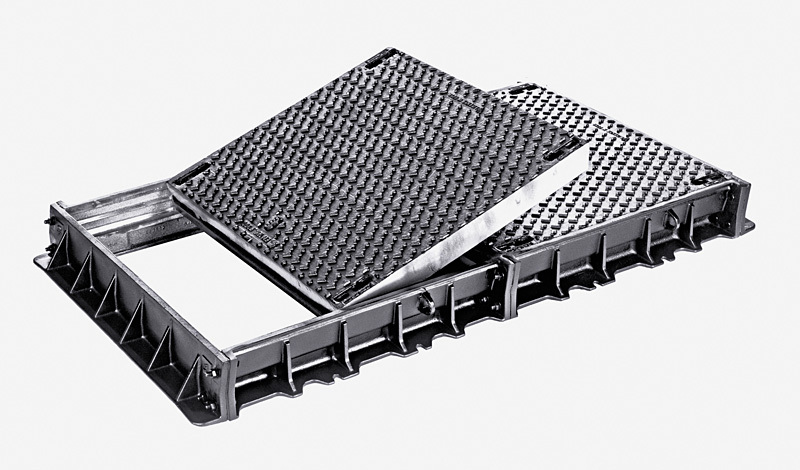 The Ermatic cover system is surface water- and gastight (here referring to pressureless sewer gases; for other media - please contact us). Tightness is achieved by a thin grease film applied to contact faces of cover and frame. To prevent oil and petrol from penetrating, a special sealing paste can be used instead of grease (as an option). Frame elements are bolted together. Gaps are filled with liquid metal. This way, the make-up of very long duct cover units is possible. 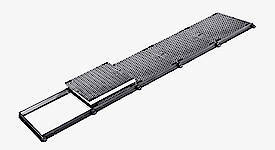 For clear openings beyond 1,200 mm, removable steel beams are used. This allows to make up cover combinations for very large areas.